Students and teachers can use these rubrics to assess students’ readiness for learning on a daily basis. The rubrics includes key affective qualities needed to become an engaged learner and a good citizen who is kind, respectful, and responsible. 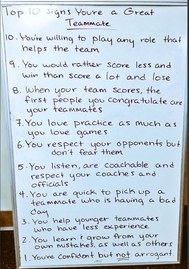 They address diligence, self-direction, a willingness to keep trying when challenges arise, and taking care of business in general. 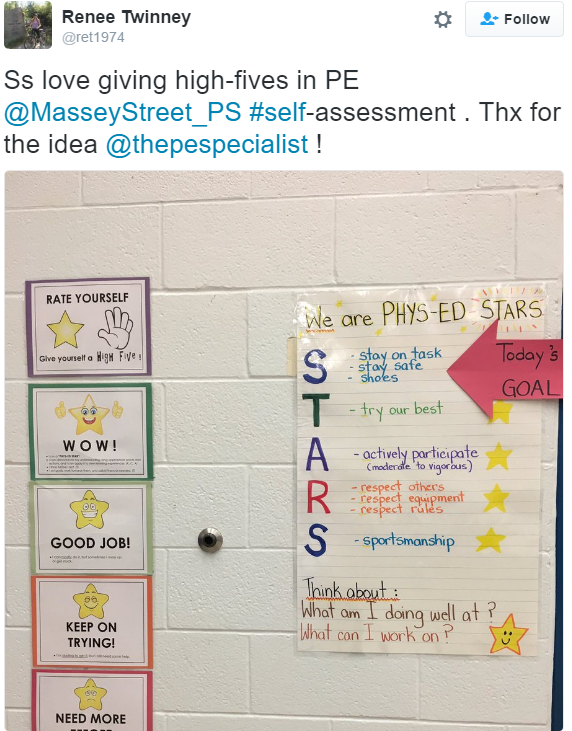 In addition, the rubrics offer ways to measure progress toward National Standard Four: “The physically literate individual exhibits responsible personal and social behavior that respects self and others." ​Modify the rubrics below to fit the needs of your class by adding or deleting criteria (elementary, middle school, high school, college...). For example, in a college activity course you could add "Turning off your cell phones" under Respect. Read the JOPERD article "Are Your Students READY for Learning?" for more information. Start with one class to get accustomed to the process. 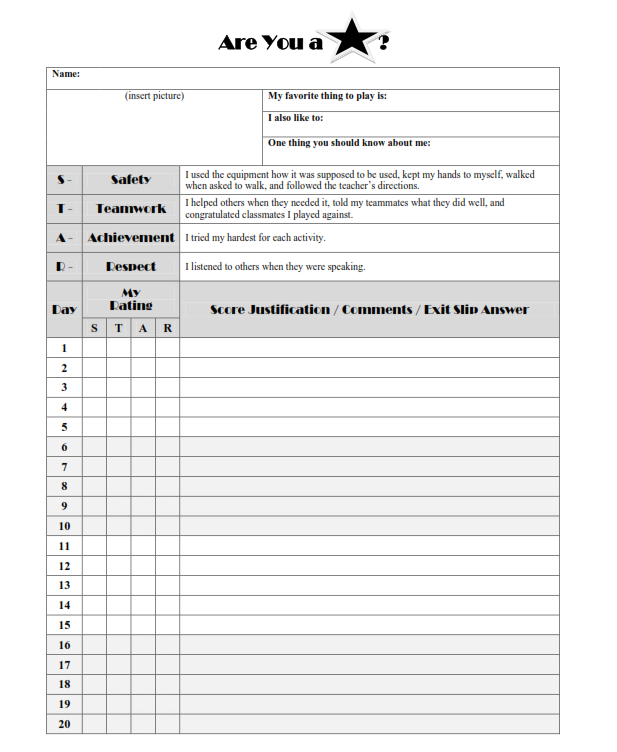 Practice filling out the rubric with your students for the first week. Modify the rubric to fit the needs of your class. Involve the class in making the criteria. Refer to the criteria throughout the unit. Use the comment section to communicate with your students. Use the top section of the rubric to get to know your students and develop rapport. 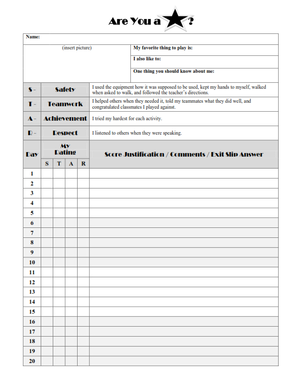 Create an efficient system for passing out and collecting rubrics. Equipment should be put away before students access their rubric. 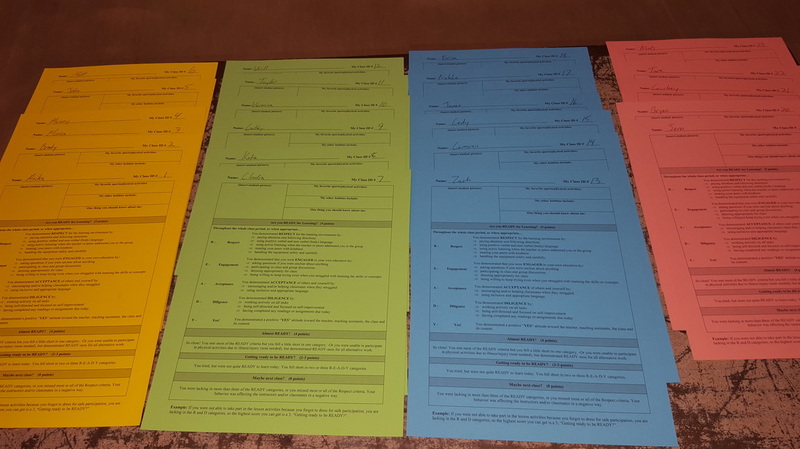 Make rubrics on double-sided card-stock and use different colors for each class/team. Use rubrics to return student work, placing their work behind their rubric (ensure students scores are not visible to others). Additional columns: "Focus of the Day" (students indicate whether they met the day's focus) and "Self Efficacy" (students indicate how confident they are in the lesson's skills). Thanks to Casey Brown, Curtis Bushta, Marci Jung, Jessica Shultz, and Renee Twinney for the following examples. These applications allow users to give students badges or awards for specified achievements. You can use them to reinforce positive behaviors and/or other accomplishments.​ See this webpage for more information.